The 3.21 Toronado Final Drive is completely different than the 3.07 used in our GMCs. Case, cover, differential gears etc. are all different. However, it does interchange "as a unit" with the stub axle. It is supposed to vent out through the center of the axle flange instead of a little hole at the top of the unit. 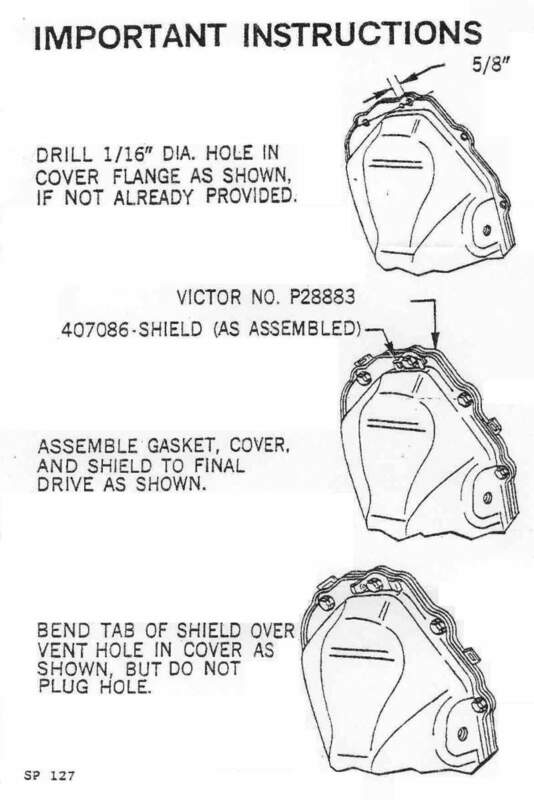 In the figures below, the upper sheet was supplied with the Napa final drive cover gasket #P28883 that was manufactured by Victor. The bottom sheet 2 was supplied with a Genuine GM final drive gasket when they were still available. The two sheets are virtually identical in content. I am assuming that the early Toronado and Eldorado 3.07 and 2.73 final drives did not have the gasket that included the vent channel or the vent hole drilled in the cover. 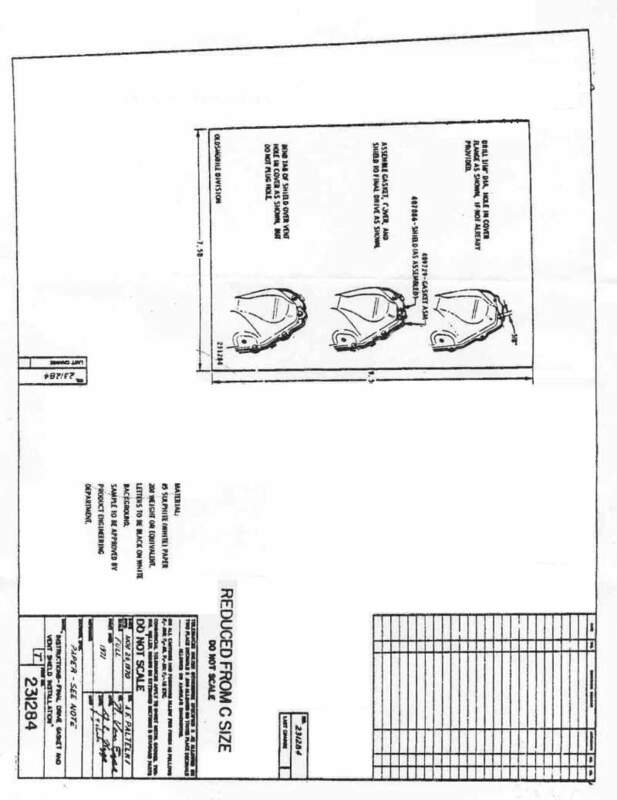 There were at least two GM supplied gaskets that were superceded by GM#231285. This could explain why the sheets explain where to drill the hole to match the supplied gasket and the Genuine GM gasket (#231285) included the small shield (#407086) that fits on the uppermost cover bolt and protects the drilled hole from road debris.